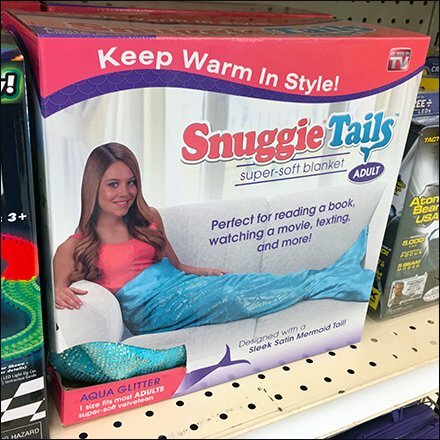 If you are feeling a decline in sales for your humdrum throws and blankets, maybe you will be inspired by this Mermaid Tail Merchandising At Shelf Edge. More than a cover, it is Cosplay for reading a book, watching a movie, texting and more. And a selfie or Instagram outreach certainly wouldn’t be inappropriate. This Mermaid Tail Merchandising At Shelf Edge seen at JoAnn Fabric and Crafts. For Mascot posts by Title see..